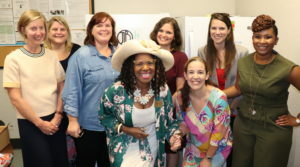 On Thursday, September 20, 2018, representatives from the Junior League of Birmingham (JLB) gathered with Alice Westery, Youth Towers Executive Director, and board members in Downtown Birmingham to unveil the JLB’s second community refrigerator, an expansion of the JLB Second Servings food recovery program. Youth Towers is a 501 (c) (3) organization that helps young adults (aged 19–26) find affordable housing, gain employment and education, and receive counseling and training so they may lead successful, productive lives. JLB Second Servings began as a pilot program in 2016 with a refrigerator installed at Project Hope, a day shelter for homeless teens. The concept was initiated by League member Tarika Bhuta, who saw an opportunity to address the critical issue of hunger with an abundance of leftover food. 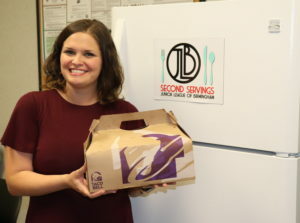 Members of the JLB Second Servings committee are always on call to pick up food leftover from catered meetings, parties and restaurants that would otherwise be discarded. Committee members then deliver the food to the refrigerators, providing access to meals to those in need. 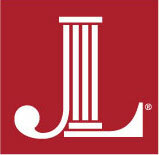 During the 2017.2018 League year, JLB Second Servings volunteers rescued over one ton of food. A second location allows more food to be rescued and the potential to reach an additional population, said JLB Second Servings Chair Kara Weiland. JLB Second Servings Chair Kara Weiland stocks the new refrigerator with food donated by Tacala, LLC. Westery was inspired to begin the program while working at the Jefferson County Department of Human Resources. She routinely witnessed young people who were no longer able to receive services, but still in need of help. Youth Towers Executive Director and Founder Alice Westery welcomes the new community refrigerator. 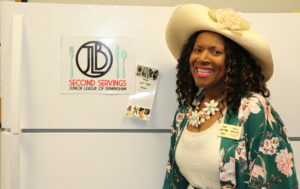 Anyone in the community may donate leftover food prepared in a commercial kitchen with servings to feed 15 or more to the JLB Second Servings program. For more information, please visit jlbonline.com/secondservings or email secondservings@jlbonline.com.